A prototype version of the Urban EV hatchback will debut at the Geneva auto show in March. Easily our favorite debut from the 2017 Frankfurt auto show (and maybe even the whole year) was the Honda Urban EV concept. It was refreshingly simple and cute, a respite from the now typical over-the-top Honda designs like the Civic Type R—not to mention similarly over-the-top designs coming from many other automakers. And the best part? 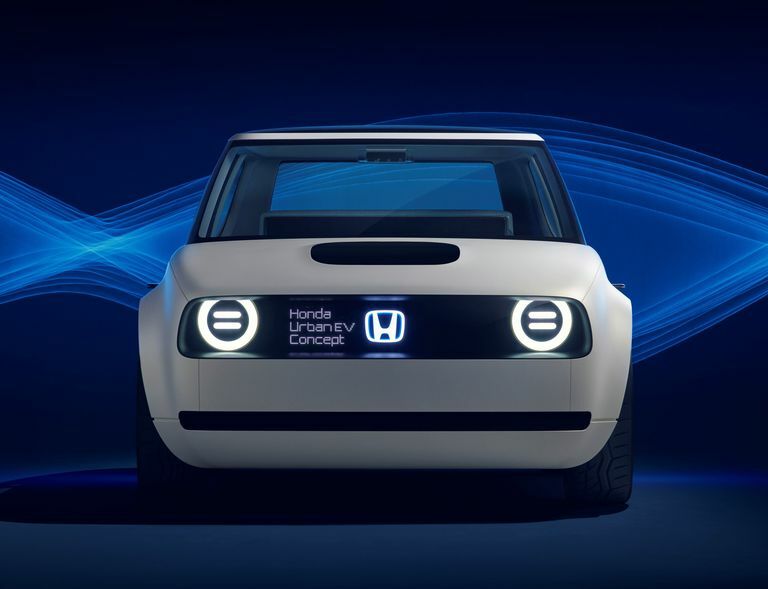 Honda promised that the concept previewed a future electric production model that would be coming to the European market in 2019. Now it is 2019, and Honda has released a teaser sketch of what it’s saying is “a new electric vehicle prototype” that will make its debut at the Geneva auto show in March. The car in the sketch is obviously a closer-to-production version of that wonderful Urban EV, and the image gives us a good glimpse into what to expect from this new prototype and the following production car, which Honda says will go on sale later this year. The prototype does away with the concept’s blocky stance and details, instead going for a smoother, rounder look. There still is a blacked-out panel at the front with round lights and a light-up Honda badge, and a trapezoidal charging port in the hood remains. We also can see cameras mounted to the front fenders in place of traditional mirrors; these should make their way to the production car, at least as an option, because such technology is legal in Europe. The roof is taller, rounder, and finished in black, and there is black trim on the lower parts of the body, too. The original two-door concept was shorter than a Fit hatchback, but we expect the prototype to grow slightly in size and gain a set of rear doors. Honda says that the new prototype lends more credence to its promise that two-thirds of Honda’s European sales will be electrified by 2025, an intention echoed by many competitors. Honda hasn’t yet said whether the production version of the Urban EV will be sold anywhere but Europe, but we think the cute little hatch would make perfect sense for the burgeoning American EV market. (We just really, really want one.) Now if only Honda could confirm the Sports EV concept for production, too.